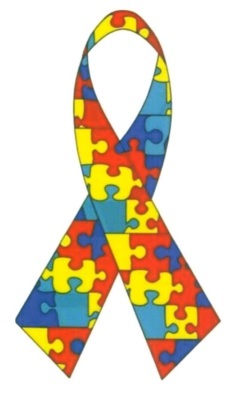 The Voluntary Autism Registry is a Belleville Police Service project in partnership with the Counseling Services of Belleville & District, Family Space Quinte Inc., Hastings and Prince Edward District School Board and Kerry's Place Autism Services. This is a community based policing initiative and recognizes the value of partnerships between other agencies, members of the public and the police with a focus on working collaboratively to create and sustain a registry for the benefit of those individuals with Autism Spectrum Disorder (ASD). The voluntary online registry promotes communication and gives police quick access to critical information about a registered person with autism. The Registry can provide police with emergency contact information, detailed physical descriptions, known routines, favourite attractions or special needs of the individual with Autism Spectrum Disorder (ASD). This information can assist officers in communicating with, attending a residence of or dealing with an emergency involving an individual with ASD. This registry is accessible to police members only and is intended to assist the Belleville Police Service and those from other police services who have the same computer data base in providing quality services in an equitable and accessible manner to the Autism community. The benefit of having a shared data base with other police services occurs when a registrant travels to one of these areas and for any reason there is a request for police involvement. For example if someone on the registry goes missing in Chatham Ontario, that agency can access the shared data base and have up to date information about the individual. Autism is a complex developmental disability that typically appears during the first three years of life: it is the result of a neurological disorder that affects the functioning of the brain. Autism impacts the typical development of the brain in the areas of social interaction and communication skills. Children and adults with autism typically have difficulties in verbal and non-verbal communication, social interactions, and leisure or play activities. They find it hard to communicate with others and relate to the outside world. In some cases, aggressive and/or self-injurious behaviour may be present. Persons with autism may exhibit repeated body movements (hand flapping, rocking), unusual responses to people or attachments to objects and resistance to changes in routines. Individuals may also experience sensitivities in sight, hearing, touch, smell, and taste. Provides the option to attach a picture (face only picture similar to a passport or school picture) to the form by replying to the confirmation flag record number. Through this form, the Belleville Police Service (BPS) will collect information that can identify you or a family member. Such identifying information may include your name, date of birth, e-mail, address, mailing address and other similar information ("personal data") when it is voluntarily submitted under Sec 29(1)(a) MFIPPA. The BPS will use your personal data to respond to request you make of us and/or interacting with the persons named. From time to time, we may refer to your personal data to better understand your needs and how we can improve our services in relation to you and / or your family. This information maybe be accessed by other Police Agencies through the Police Information Portal however consent must be provided for the use of such information. It is acknowledged that it is your responsibility to ensure that the information so collected is current and valid, and that the BPS is notified in writing of any changes. The retention, as well as any other use or disclosure, of the information will be dictated by the requirements under the Municipal Freedom of Information and Protection of Privacy Act, R.S.O. 1990, c. M.56. Information should also include what NOT to do: ie physical and/or direct eye contact, lights, loud noises, etc.